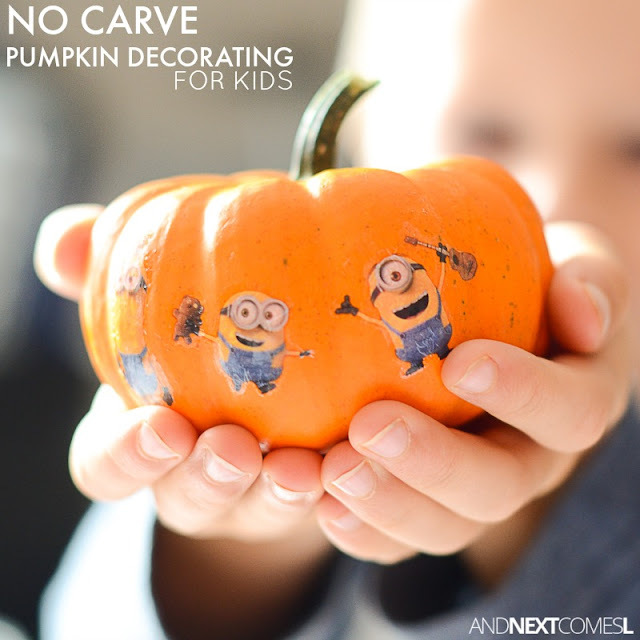 A simple no carve pumpkin decorating Halloween craft for kids. My kids love decorating for holidays and usually we hang homemade Halloween suncatchers up at Halloween. This year we've added some giant sticky spiderwebs and a cute ghost bunting to our Halloween decor (tutorials for those coming soon). 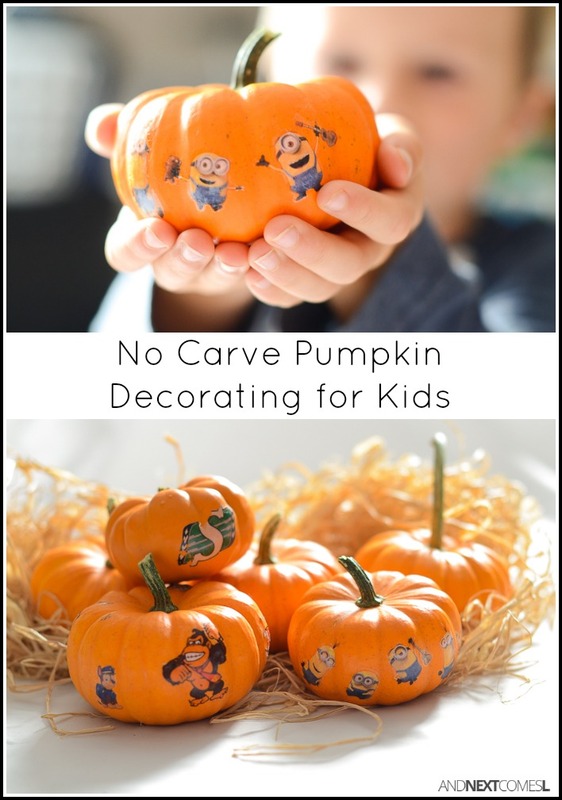 The boys also decorated their own mini pumpkins this year with this simple no carve pumpkin idea for kids using temporary tattoos. The kids loved decorating these mini pumpkins for Halloween. They are practically mess free too, which is always a nice bonus. Because pulling pumpkin guts out of a pumpkin is a gooey, gross mess, right? You can also let the kids decorate further by setting out items such as glitter glue, stickers, and permanent markers. My eight year old niece decorated some mini pumpkins a few days after the ones pictured in the post by adding squiggly designs and cat drawings using permanent markers. The possibilities are endless!